Travelling round the globe to exotic locations is incredibly exciting, but we have to remember that we aren’t the only ones and too many tourists can wreak havoc on some destinations. The same can be said about excessive consumption and waste, even when staying at home or at hotels in the UK. 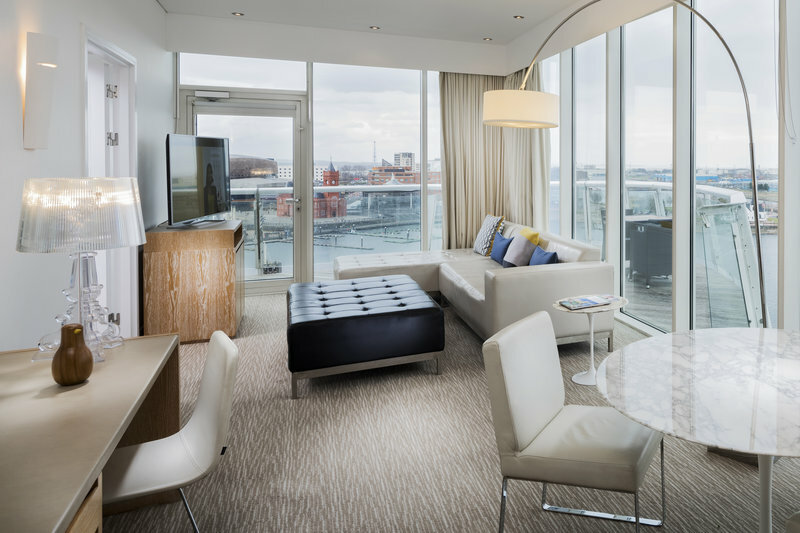 One hotel brand, however, is leading the way when it comes to appealing to guests that are environmentally conscious. 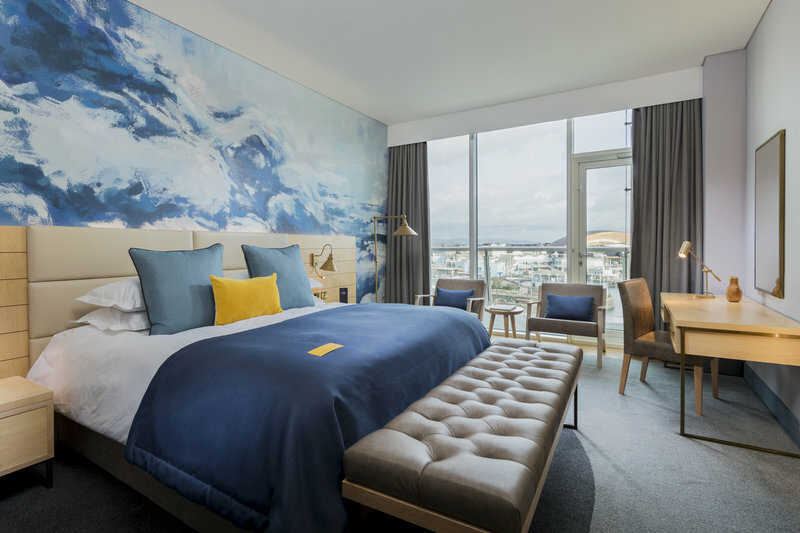 You may or may not heard of voco, part of InterContinental Hotels Group (IHG), which recently made its European debut in Cardiff following the rebrand of the Principal Hotel. Marketing itself as ‘sustainably conscience’, it’s doing its part to significantly reduce waste without compromising on guests’ experience. A totally refreshing concept within the leisure industry in my opinion. 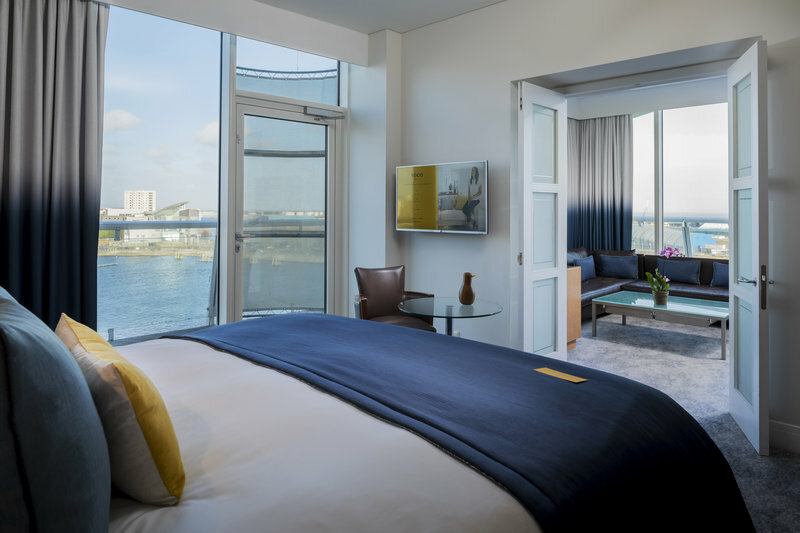 The 142-bedroom property is the second hotel to join IHG’s new upscale brand, following the opening of the voco Gold Coast in Australia, just five months after the brand was launched. The bedding in the hotel is made from 100% recycled materials. God knows how?! It’s estimated 150 plastic bottles are recycled per guest room through bedding alone. It has done away with miniature bottles and hard to recycle amenities in its bathrooms. Indulgent Aveda products are in large format which produces 80% less waste than smaller sizes. The dry amenities – such as toothbrushes and razors – are biodegradable. It has also replaced all palm oil in bathroom amenities with eco-friendlier alternatives. Glass water bottles means that it removes on average of 300+ plastic bottles in every guest room per year, while aerated shower heads reduce water usage and lowers energy consumption for water heating without compromising the show experience. There are plans to open many more across the country by taking over former much-loved hotels with plenty of history, so the sustainability messaging is clearly working as the group confidently expands across the UK. 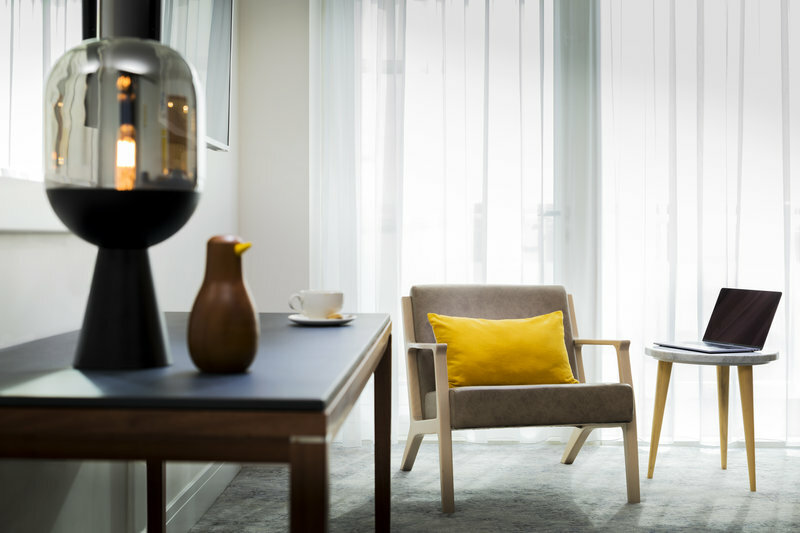 The voco brand name transpires ‘to invite’ or to ‘come together’ in Latin, while combining the informality and charm of an individual hotel with the quality and reassurance of a global and respected brand. This theme is consistent throughout this newly renovated property and little touches such as token gifts and warm friendly smiles don’t go unnoticed. 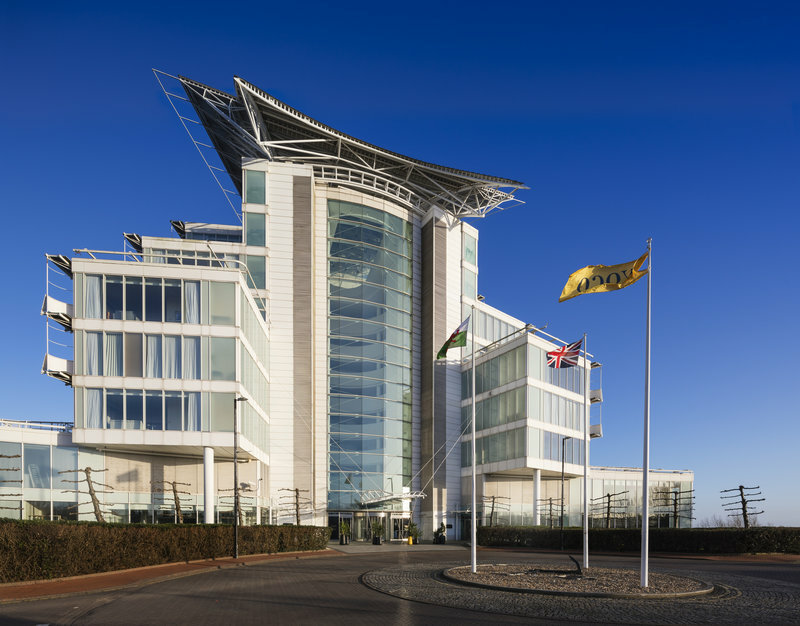 The architects allegedly modelled this hotel on a cruise ship in port and you certainly get that impression on arrival given the height of the building and its design as well as where it’s situated. Guests are welcomed with a local treat upon check in: Welsh cakes. Its bold and vibrant design continues once inside as touches bring warmth and colour and there’s a real sense of community within the hotel. All the rooms are pretty much the same in terms of design style, very modern and have a homely feel and the only difference really is the floor space. There’s a beautiful balance between the use of petrol blue and honey yellow colours. I was given a premium room, with a larger bed and slightly nicer furniture than the entry level ones, apparently. 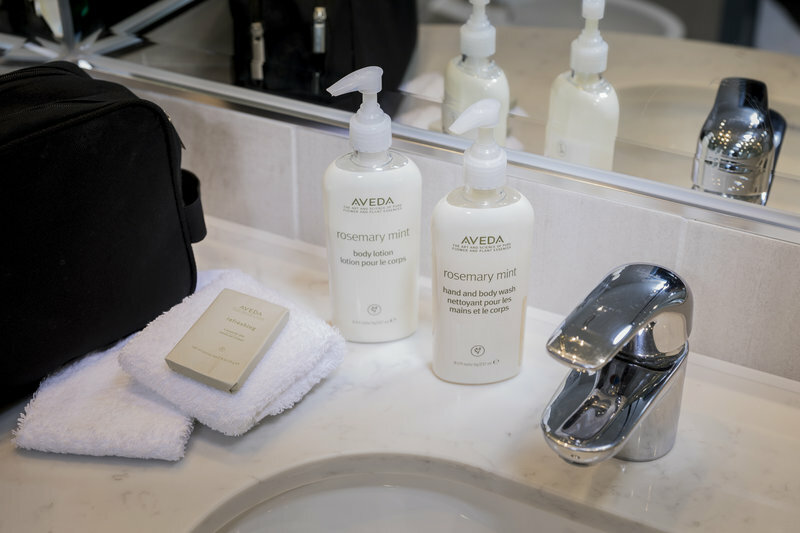 The rooms are comfy with plush bedding and high-quality Aveda bathroom products. 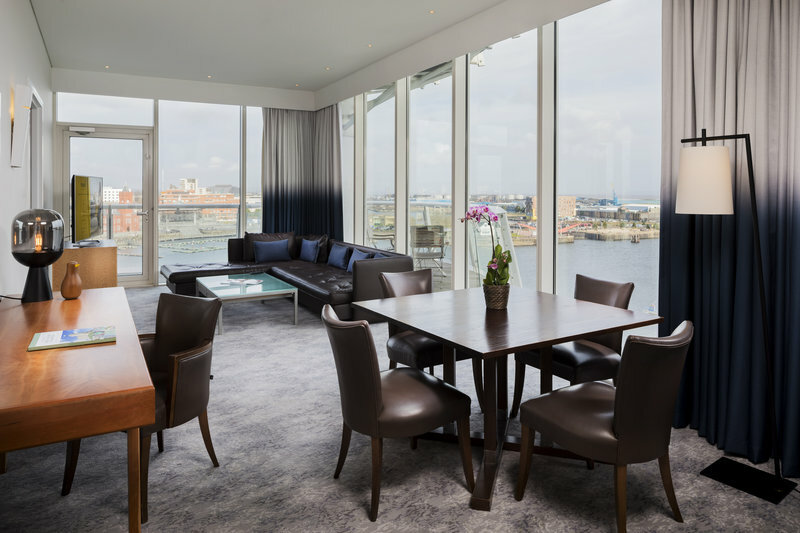 The floor to ceiling windows helps to make the rooms extremely light and airy. 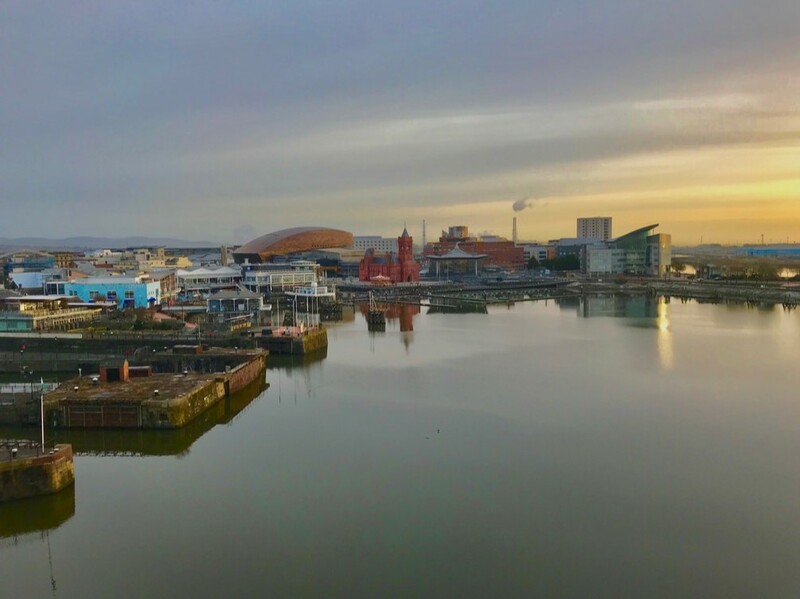 Subject to availability, guests have the option of facing either the Penarth Marina or Cardiff Bay. 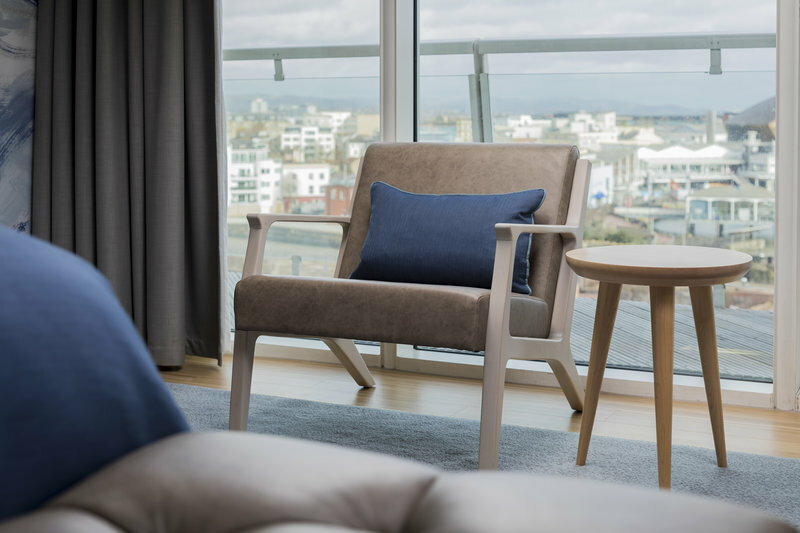 There’s also balcony access with fantastic views across the bay, which is great for either watching beautiful sunrises or sunsets all year round. There is also a stocked mini-fridge which is free for use – and comes with some soft-drinks, beer, cider and a Kit-Kat. Plus, another Welsh treat: Bara Brith! Breakfast is hosted in The Admiral, with both a continental and hot breakfast served – there’s plenty to choose from – a fine spread fit for King Arthur himself. 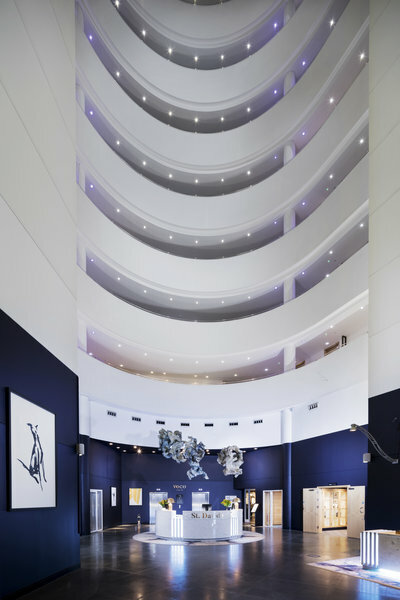 The hotel has only one restaurant and a vibrant bar, however, both are spaced out into ‘zoned areas’ to utilise the vast room while floor to ceiling windows lets plenty of light in creating a sense of space and giving guests freedom to wander and mingle with others. I must say, it doesn’t feel like you are eating breakfast and dinner in the same room with party goers and drinkers. 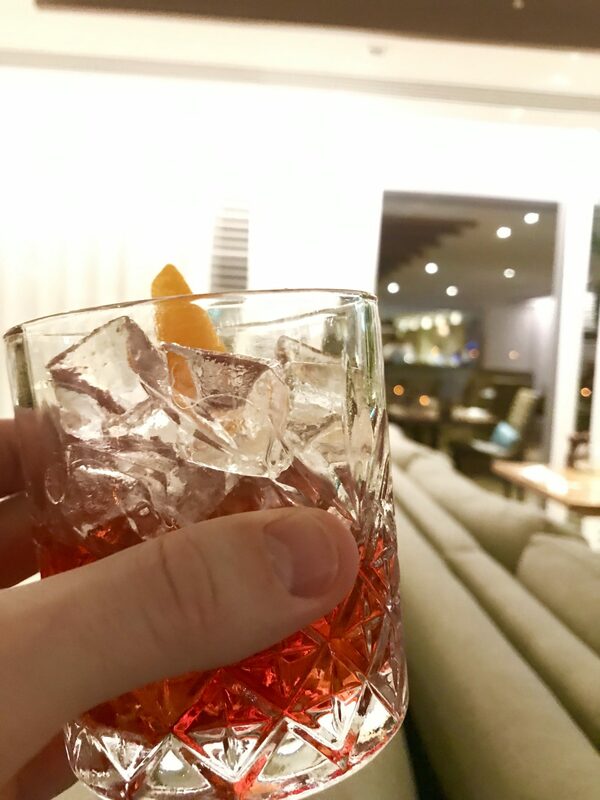 That’s what makes this hotel different – it has a sense of individual spirit and character throughout. 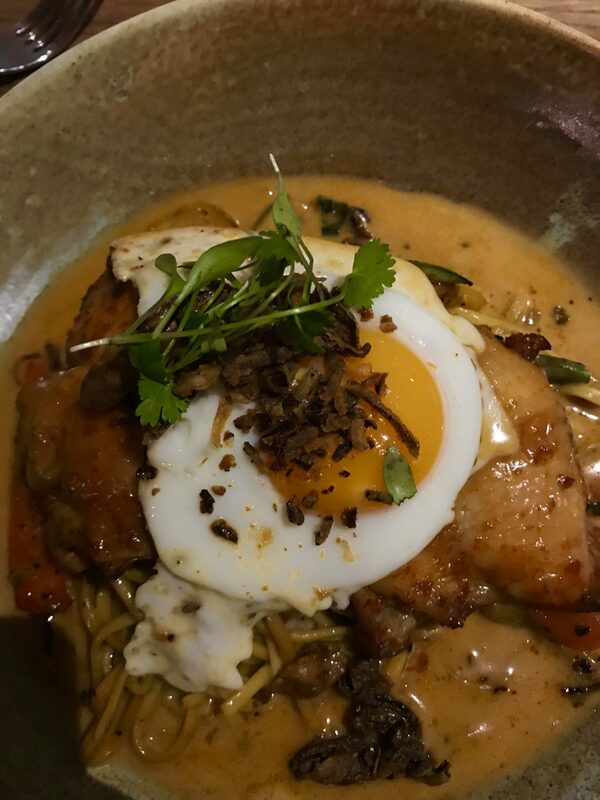 The restaurant offers its own menu – Pan-Asian-Welsh-fusion, which was rather indulgent. It has a smaller bar menu if you are looking for something more casual. Of course, there’s always room service for lazy ones. 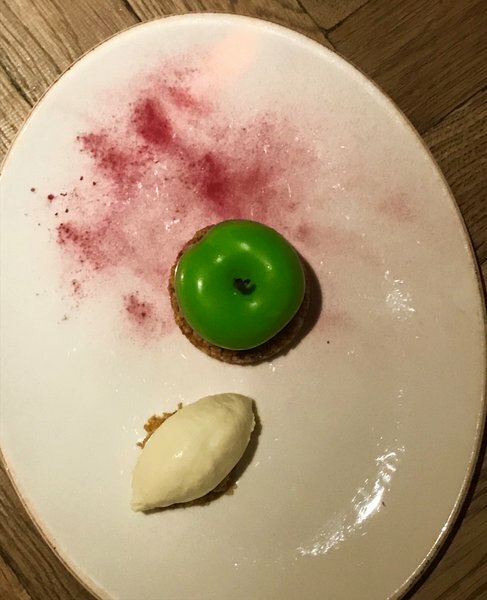 You can choose from Laksas, Welsh lamb shanks, steaks or even a burger, deconstructed apple pie and artisan Welsh cheeses from its extensive menu. Afternoon tea is also available and well worth it, just for the view of the bay outside the windows and the cakes alone. A proper little treat! It has an award-winning Marine Spa that offers hotel guests and local residents the perfect spot to unwind, with comforting treatments sure to make guests come away feeling thoroughly pampered. It specialises in thalassotherapies, hydrotherapy multi jet pools with algae type treatments and prides itself as being the only Marine Spa in South Wales. 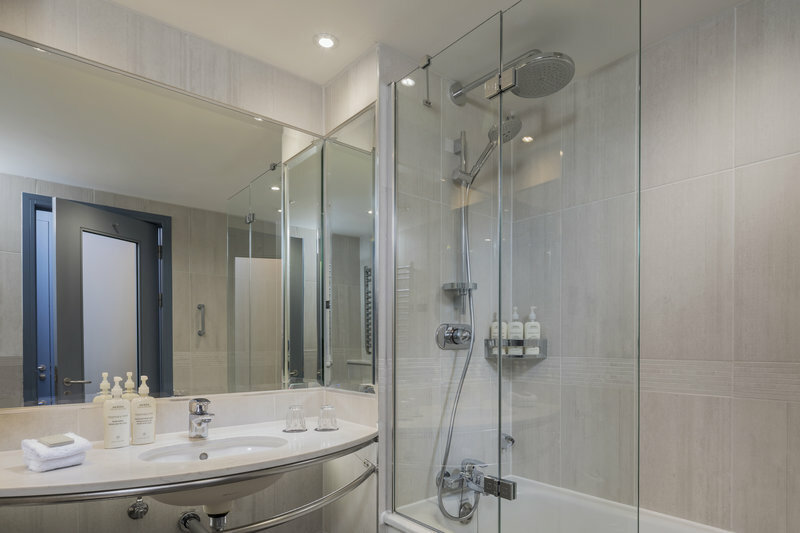 The wet areas include a sauna concealed behind the showers and there’s hot tubs and a swimming pool. The spa is situated at the bottom of the hotel with great views across the fords and the bay. You can gaze out of the floor to ceiling windows from the comfort of the saltwater swimming pool. If you aren’t feeling energetic, however, there are plenty of loungers around where you can snooze the afternoon away or doze delightfully before dinner. The changing areas are huge, not something that you often find hotels these days, and there’s also a relaxation and reading area too. There’s a well-equipped gym with plenty of free weights, cable weights and cardio machines – so there’s no excuse for skipping a workout. The fitness equipment is relatively new although I was told that the gym was due for an overhaul including brand new machines. VIVA Verdict: This is a luxury hotel with a conscience – other brands within the leisure industry should take note! 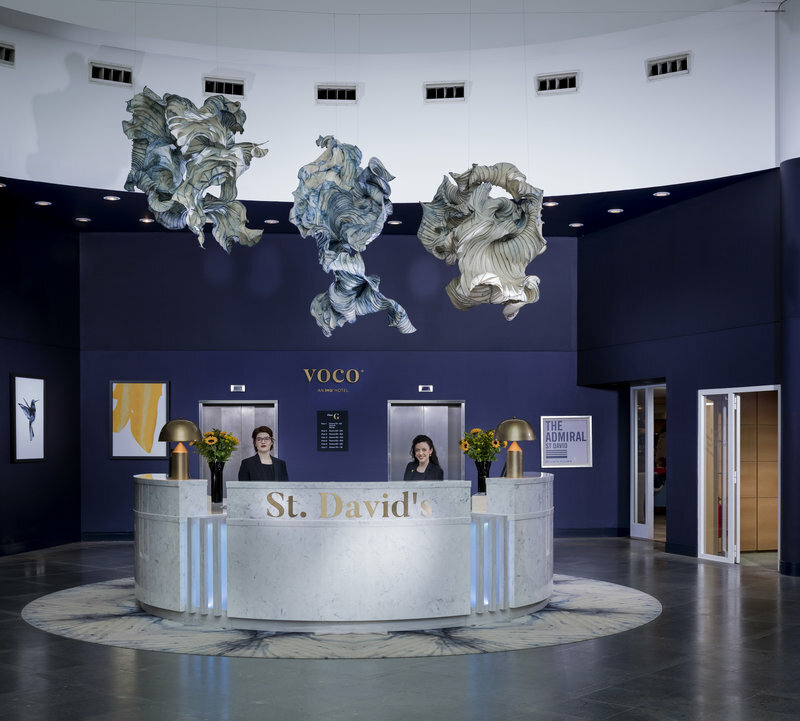 A weeknight stay in March at voco St David’s can be had for around £90 for a standard room.